Dr. Torres has always been interested in solving health problems for people. She received her medical degree from the UNAM Autonomous University of Mexico in Mexico City. Dr. Torres and extended her studies at UNAM to earn an additional Diploma in Clinical Pharmacology. Several years of practicing medicine in Mexico were followed by working in the private industry where she was involved in pharmaceutical product development, regulation, and compliance. 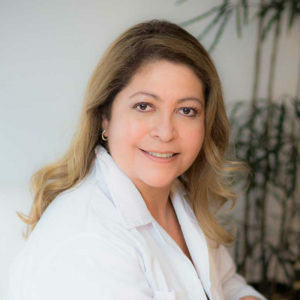 While conducting clinical trials she participated in initiatives to promote good clinical practices, patient rights and their protection in Mexico and Latin America. Ms. Torres desired, however, to return to direct contact with patients in a holistic way. While living in the United States she discovered that Traditional Chinese Medicine would offer what she was looking for in terms of practicing medicine and patient treatment. She pursued a Masters degree in Traditional Chinese Medicine at the Pacific College of Oriental Medicine in Chicago and obtained Certification by NCCAOM. She is a Licensed Acupuncturist in Illinois where she is part of a network of practitioners aimed at prevention and early management of diseases.